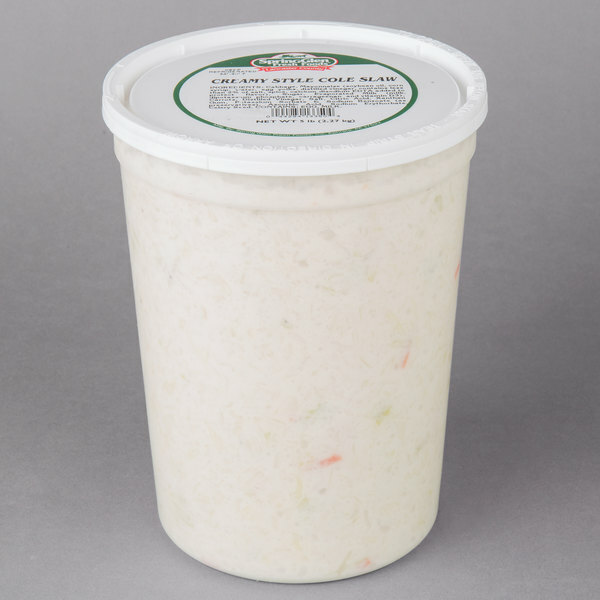 Add the perfect side dish or sandwich topping to your menu offerings with this Spring Glen Fresh Foods creamy coleslaw. This coleslaw has fine bits of chopped cabbage giving it a creamier texture. Additionally, this creamy coleslaw can be used as a side dish or as a pork barbeque topping too. Or, mix in your own seasonings to create your own twist on this classic dish. Best of all, this creamy coleslaw is ready to use right out of the 5 lb. container. The resealable plastic tub helps keep it fresh in refrigerated storage as well. 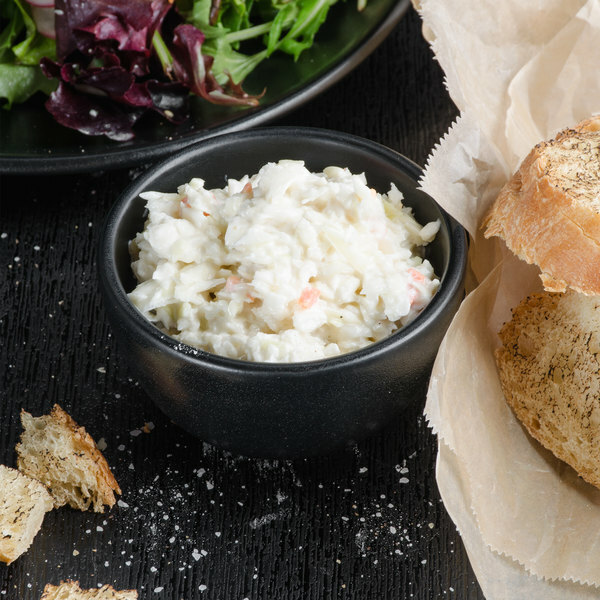 Whether you're serving as a side or sandwich topping, this creamy coleslaw is the perfect addition to your menu!